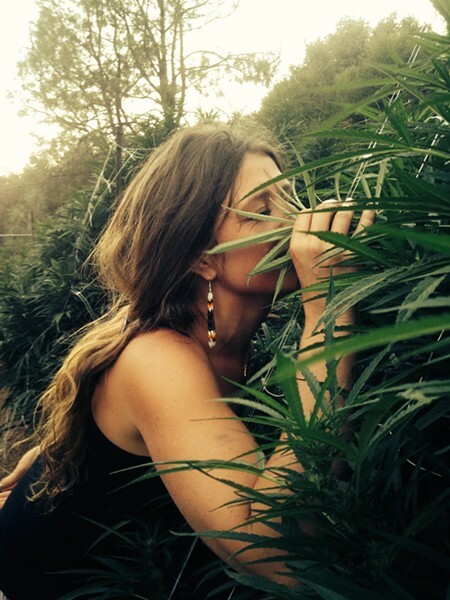 Why Maya Lapid of the East Bay company Om Edibles is the name to watch in US medical cannabis foods in 2016. Unlike the new crop of cannabis carnival barkers, real power players in the industry tend to be discrete. And few in the weed game have been as discrete, or have built up as much momentum as Maya Lapid, founder of the award-winning East Bay company Om Edibles. Lapid is a prescient, college-educated Bay Area native, and a plugged-in, insider of fourteen years in the local medical cannabis industry who foresaw the edibles-as-superfoods trend eight years early and can no longer hide from the limelight. Still, Lapid is hesitant to fully spill the beans, particularly when it comes to her budding business relationship with superstar celebrity Whoopi Goldberg. "I'd love to tell you, but we're almost, almost there," said Lapid, referring to the details of the Goldberg partnership. "When we can get there, I will tell you." On March 19, Om Edibles re-posted to Instagram a picture of Lapid and Goldberg posing for a photo, smiling and sipping what looks like iced tea. The advent of a medical cannabis product partnership for the co-host of ABC's The View — which has 3.9 million national viewers — signifies the arrival of mainstream cannabis. The Bay Area medical weed industry is abuzz about Om's coup, but Lapid is no carnival barker. She said she has "no comment" on how she met Goldberg. "She's just an awesome lady, She's one of my heroes," Lapid said. "We have a lot in common. We have a lot of exciting things happening." But as reticent as Lapid is about discussing the details of her venture with Goldberg, she's not afraid to share the secret of her company's success. "I know exactly what my secret is, and I'm not afraid to tell it: We use the best ingredients we can and the best products we can. ... We use an extreme level of care, from the root to the fruit." That means growing Om's own bud outdoors on a farm run by women, and then combining the company's top-shelf, exclusive strains with "as few ingredients as you can, as organic as possible" and lab testing for consistency, she said. And all that dedication to excellence has paid off. Last year, Om's CBD Raw Sipping Cacao took first place in CBD edibles at The Emerald Cup and in the High Times Medical Cannabis Cup Northern California. Om also took first place in the Jamaican High Times Cannabis Cup for its infused topical oil. Lapid said she first got high at the age of thirteen, and by fourteen was smoking nearly every day. "It's kind of the way I prefer to live my life," she said. 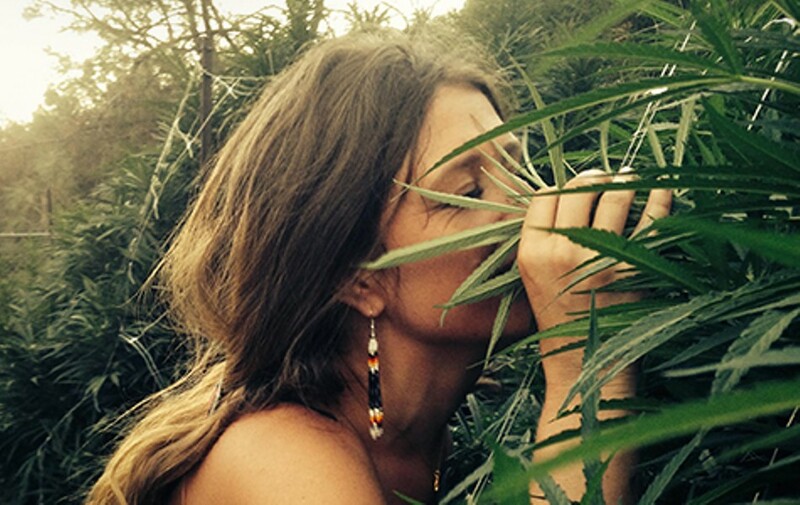 "I'm one of those people cannabis really agrees with." After getting a degree in psychology from San Francisco State University, she began her medical cannabis career at a San Francisco pot club in 2004. "I really connected with that role of being a resource for people to learn about cannabis," she said. "I saw a lot of problems out there, and I loved to cook. I felt like I could create stuff, too." During her pot club days, Lapid budtended, became a head chef, ran a clone desk, trimmed cannabis crops up north, and perfected ice-water based extraction (bubble hash) techniques in the Bay Area. Lapid also began growing cannabis and is connected to the Cookie Fam — the Bay Area horticultural masters behind the world's biggest current cannabis strain — Girl Scout Cookies. Om Edibles, an all-female company, officially launched in 2008 and has racked up a string of hits. Eight years ahead of the curve, Om was the first to market cannabis infusions in super-foods, eschewing sugary, fatty desserts for items like the company's award-winning Peanut Butter and Puffed Rice Truffles (175 milligrams THC). Om's latest is a CBD-rich miso with mushroom and sea kelp soup broth, part of a line of thirty Om products carried in clubs throughout California. The soup won't get you high, but it might help manage your arthritis, back pain, or seizures. Lapid also is not shy about predicting the next hot trend: THC-infused bath products — a potentially billion-dollar sector of moms and grandmas underserved by stoner, bro-oriented brands. "Baths are so amazing. They deserve a category of their own from topicals or edibles. It's really just a strong body effect that's great for sleep, aches, and pains and overall dermatological issues," she said.